From ancient times, shamans have worked with the spirits of nature for healing, survival, and knowledge. By learning from the plants and animals, from the rocks and mountains, from the winds and waters, and from the sun, moon, and stars, shamans helped their peoples live in harmony with the universe. In a world now out of balance, the way of the shaman can teach how again to respect nature, our Planet, and its inhabitants at a deep spiritual level. As our ancestors everywhere once knew, our survival depends on the survival of the other species. By working together intensively through shamanic journeys and other spiritual experiences, we will dedicate ourselves to working in both non-ordinary and ordinary reality to restore and maintain a living Planet. This popular workshop will be held where there are many sacred places of power on the land of an extraordinary new retreat center up on Mount Shasta. Half of the practices in the Spirits of Nature workshop take place outside in the natural world. Our group room at Spiritwalkers Retreat on Mt. 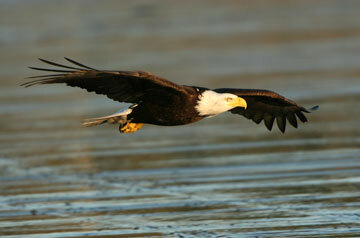 Shasta is surrounded by the mountain’s natural beauty with streams, pines, wildflowers and wildlife. Coffee and tea will be provided on our morning and afternoon breaks. The Foundation For Shamanic Studies – Michael Harner’s Way of the Shaman®: The Shamanic Journey, Power and Healing. This basic workshop can be taken with Beth Beurkens at these locations. 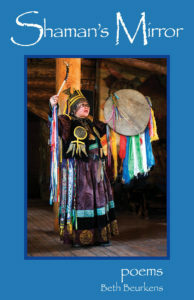 The Foundation for Shamanic Studies will offer Continuing Education (CE) contact hours/credit (CEU’s) for this workshop. 13 CE credits will be offered for this workshop. Please see the FSS website CE page for how to apply for these credits. USD $289 per person for early registration – up to one month prior to start of workshop. Sign-ups after 30 days before event will be USD $310. Payments may be made by Check, Money Order, or online with PayPal using either Visa or MasterCard. Paypal payments may only be made for the full amount. If you choose to use PayPal, be sure to also print, fill out, and mail the below Registration Form and Liability Waiver via USPS to Beth. Click here to print the Registration Form and Liability Waiver which needs to be sent via US Mail. Early registration is 30 days or more before event date. Cancellations will be processed as follows: notification received prior to September 10, 2019: full refund minus $75.00 administration fee; notification received prior to Wednesday, September 14, 2019 50% refund minus $100.00 administration fee. No refunds on or after September 14, 2019. If you cancel 30 days or more before the workshop, you may apply the amount paid to another of my FSS workshops with no penalty except for any Pay Pal fees. The Foundation for Shamanic Studies retains the right to cancel any workshop at any time for any reason. In this case all tuition fees will be refunded in full or may be applied to a future FSS workshop of mine. This is not a residential workshop. You are responsible for your own travel and lodging. Please note the refund and cancellation policies for airlines and hotels. Travel insurance may be advised. There is a vast range of accommodations here in all price ranges. I’ve included a few less expensive options. Please make your own reservations. 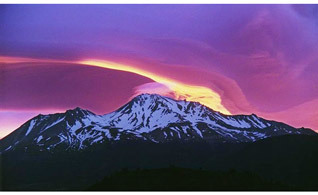 You can also go to the Mt Shasta Chamber of Commerce website for more lodging information or call them at 1-800-926-4865. There are many excellent healthy food options that range from inexpensive to deluxe. You’ll find American, Chinese, Japanese, Mexican, Sushi, Thai… You name it. $7.00 and up. A Mt Shasta lodging, directions, and what-to-bring packet will be mailed or emailed to you upon receipt of your tuition payment and registration. Signup today for free and be the first to get notified of new updates. Check out Beth’s new book!